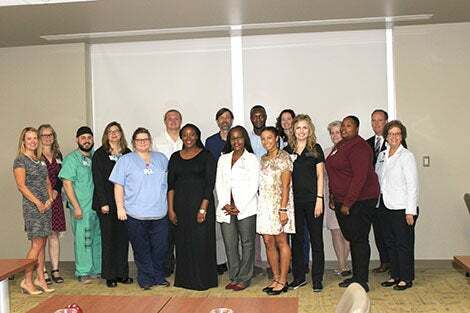 Pensacola, Fla. (July 2, 2018) – The Baptist Health Care Foundation received more than $600,000 from the Estate of Adell M. Williams. Williams and her husband, John, were lifelong supporters of Baptist Health Care and its Mission of helping people throughout life’s journey. One hundred percent of contributions made to the Baptist Health Care Foundation are applied to patient care, programs and leading-edge technology within Baptist. To learn more about the Baptist Health Care Foundation or to make a contribution, call 850.469.7906 or visit BaptistHealthCareFoundation.org.